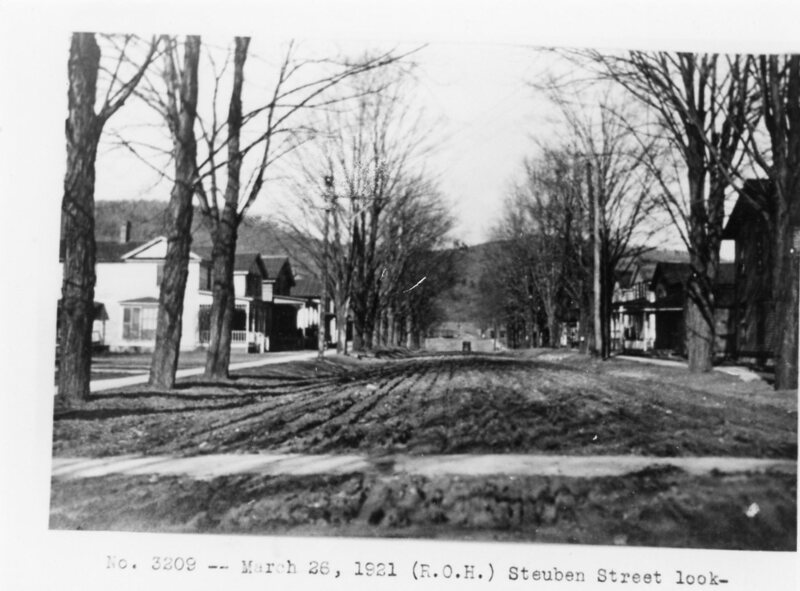 Our first photo, features a cool view of an unpaved Steuben Street in 1921. And this photo is another photo taken of a photo so it really is the original that is crooked! Our second photo for this week is of a serious looking C.F.A. 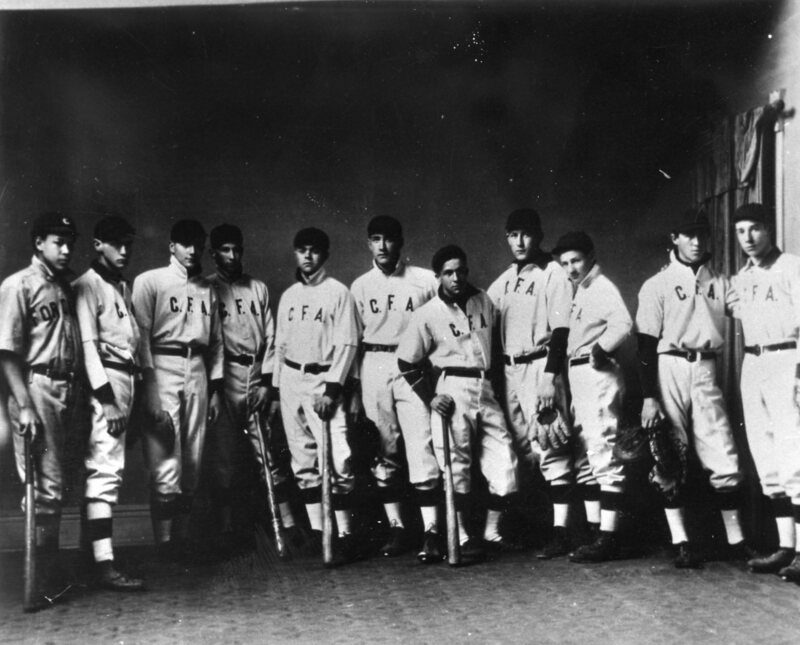 baseball team – year unknown! If you can tell us anything more about life on Steuben Street in Corning or the history of baseball in the Crystal City please do!